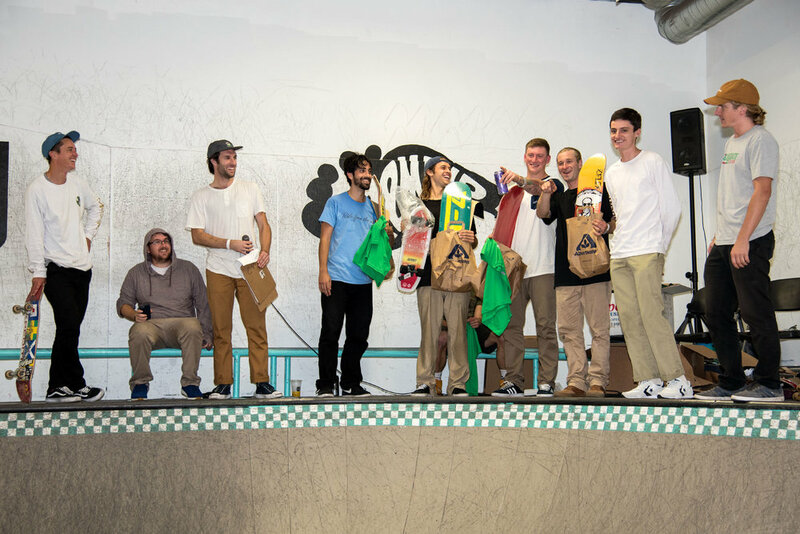 We love visiting San Diego County, and it was awesome to return for our 3rd annual contest at the Transworld Skateboarding Park! We had our Student and Non-student Divisions, so everyone got a piece of the contest action. 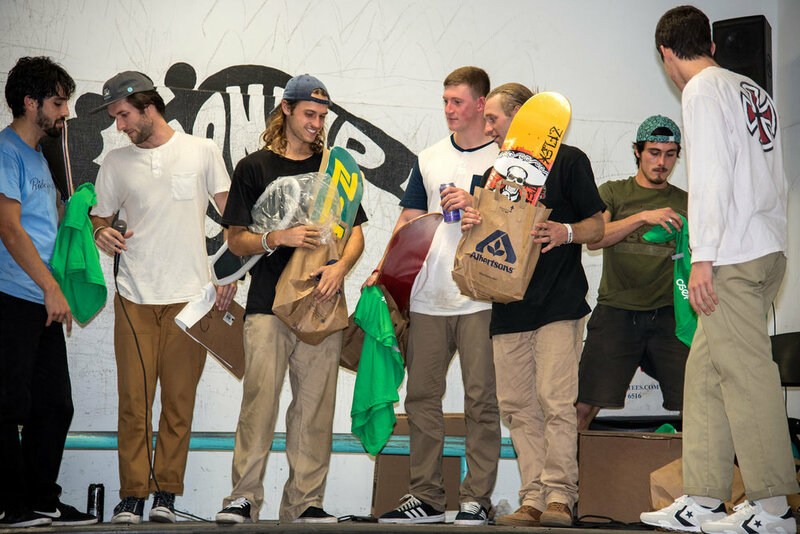 Many familiar faces came through with the stoke, and the crowd was in for a great day! Students came out from UC Irvine, UC San Diego, UC Riverside, San Diego Community College, Allen Hancock College, CSU San Marcos, CSU Fullerton, and the University of Southern California. Our non-student rippers road tripped from all over Southern California, from the city of San Diego all the way up to Lompoc, CA! 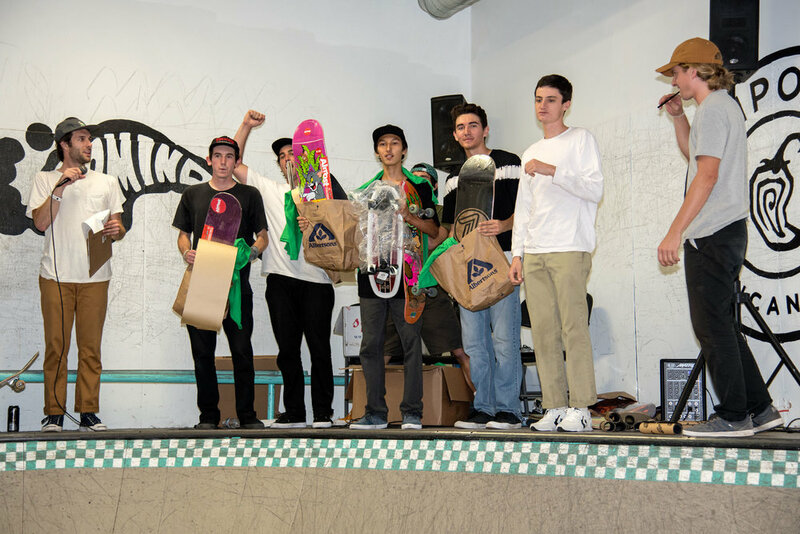 We were glad to have Monster hooking up beverages and Transworld Skateboarding helping us bring it all together. It was a treat to have Kenny Hoyle, Tommy Barker, and Zach “Ducky” Kovacs judging the contest all day! Following the main event, we had a HEAVY best trick jam on the whole park, and it was absolutely decimated. Our best trick MVP (AGAIN!) 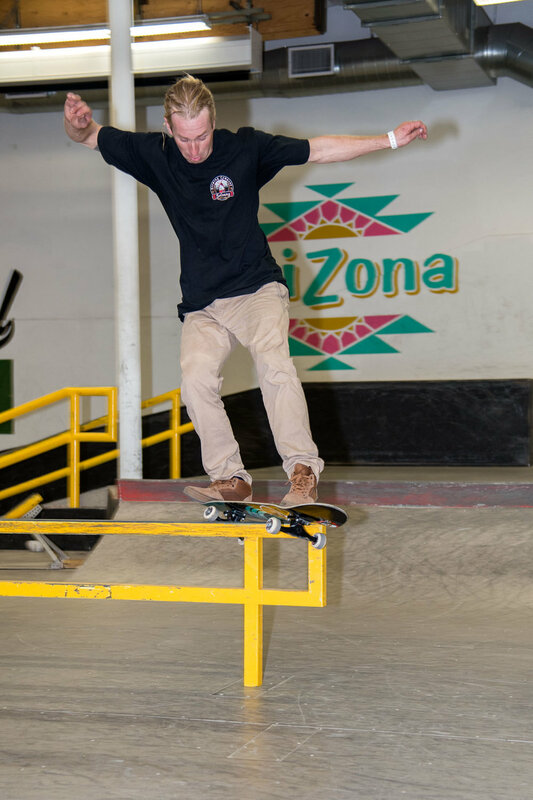 was Joseph Cheeney (@joecheeney from UC Riverside) with a feeble grind to frontside 360 shuv-it on the bump to flat rail. All of our awesome PHOTOS were taken by (OG Transworld photographer) Jim Goodrich. This VIDEO was filmed and edited by Tylre Wilcox (@wilcoxfilms). Thanks again to everyone that came out and made the event so epic!